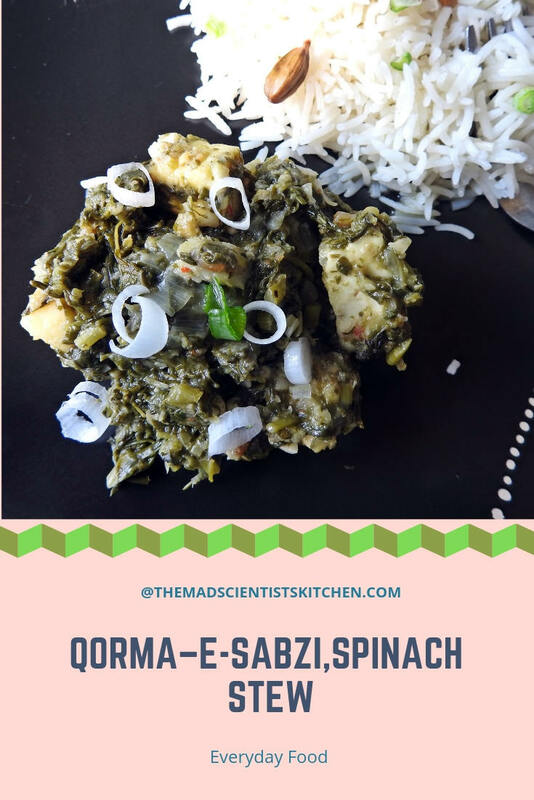 Qorma–e-Sabzi , Spinach Stew is an Afghan preparation which can be combined with meat or just plain as a vegetarian dish. Given a choice I will like to use mushrooms or soya chunks to replace the meat portion but I have used some marinated paneer today that was leftover from some other recipe. 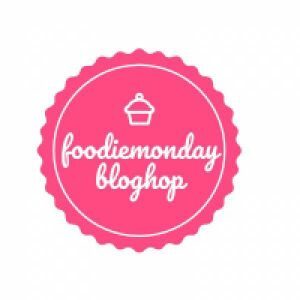 It is Monday and I have joined a new group called the FoodieMondayBloghop and this week we are doing the #172InternationalFeast we are blogging using the first alphabet of our names. Thanks to Mayuri for the suggesting the theme and I will love to revisit this theme some time later yet again. Me being Archana, I have plenty of choices to confuse me as to what I wanted to do. There are quite a few for me to try but we had a medical emergency and hence I am choosing one of the easiest countries Afghanistan. It was just by chance that I stumbled on this delicious recipe here. In the past for Afghanistan I have done Afghani Bolani/ Boulanee e Katchaloo/ Potato Spring Onion Stuffed Flatbread and Mint Chakkah~ A Creamy Curd and Mint Dip. After this I have put a full stop to my Afghan journey. Thanks to Mayuri I am reviving my long lost todo list. In a large kadhai/wok heat the oil and sauté the garlic until golden brown. Add the spinach and cook on medium heat. Stir regularly cook till the spinach settles down and the liquid boils. Add the dill, coriander leaves and powder, pepper powder. Stir well and reduce the heat so that the liquid bubbles gently. Cook for another 10 more minutes until the liquid is absorbed and the spinach very tender. At this stage I added the paneer that I had kept marinated in garlic and onion. Stir well and cook stirring occasionally. Switch off the gas and add the lemon juice. Mix well. Serve with rice or naan. Personally I preferred it with this Afghan challow. 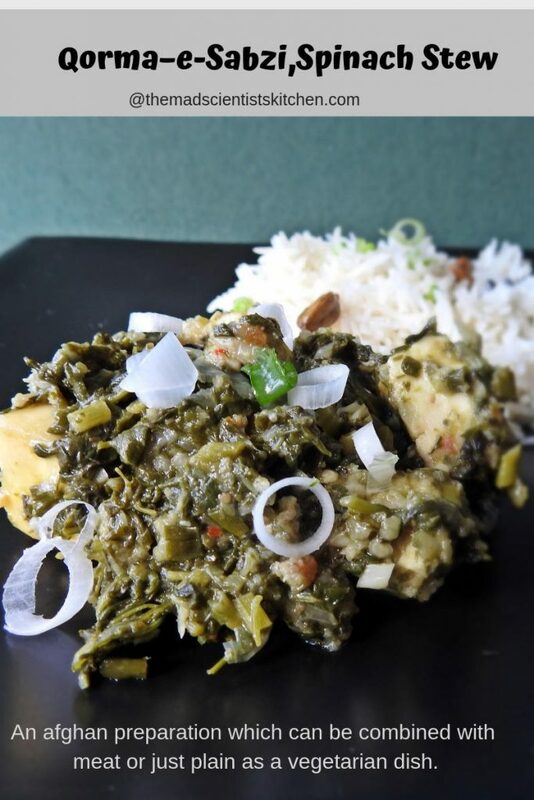 This spinach stew with marinated paneer sounds filling and flavorful di ! Would love to give it a try sometime . The spinach stew with marinated spiced paneer sounds a perfect side dish with naan or phulka. Loved the name of this Afghani dish aswell. The Qoorma looks yummy packed my favoritism duper food combo.. paneer and spinach!! A different way to feed the regular spinach and paneer to kids !! Nice recipe!! Spinach stew looks flavourful and delicious. What’s wrong with the texture? Texture also looks great. Healthy and delicious share. You need to poke holes you will find something or other. Nothing else Sujata. This time it was texture and next time it will be taste. Exotic name !What a wonderful find Archana, love it. Another way to prepare healthy greens and enjoy it with rice or nan. Adding protein to it is a good idea and love how you used marinated paneer. It looks so creamy and delicious. I love the idea of marinated paneer. How long do you marinate it? About 24 hours :D. Actually wanted to make them as fried paneer cubes but then ….. Spinach stew looks so healthy and flavourful. Thanks for sharing this amazing recipe, totally different dish with spinach and paneer. I was super intrigued by the royal name of the dish and quickly headed over to read the recipe. Such a lovely combo of ingredients and perfect for winters too, I may say! The marinated paneer would have definitely added extra flavour and taste. Love the layers of flavor in this dish Archana! Seems like such a versatile dish too. Great share. This fingerlicking spinach makes me hungry, would love to have with some rice or rotis without any fuss. The stew sounds very interesting. We always cook palak with some lentils. This is something different. Ahaaa, sush a flavprful stew it looks !! The name is itself so so exotic di Such a healthy pick for theme really …. 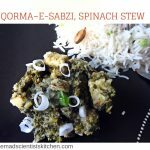 I have never tried Afghan recipes, this stew with spinach sounds interesting and healthy too. 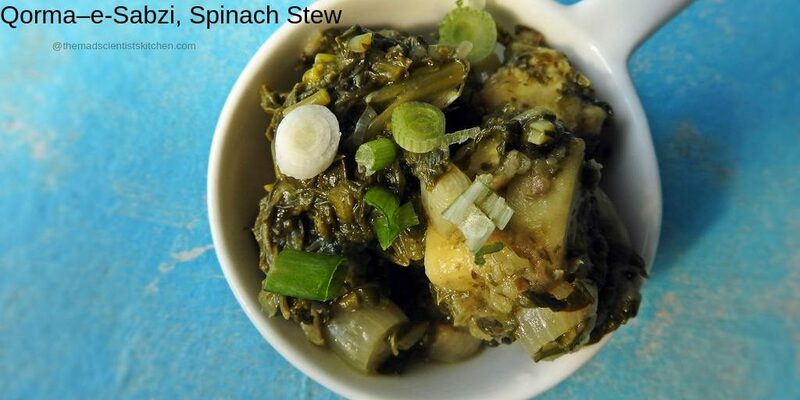 Spinach stew sounds interesting…something different to what kinds I usually make…will try out some day…Yummy share!! Spinach stew with addition of dill must be tasty. Yummy share here, thanks for the stew recipe. Spinach stew looks flavourful and delicious. Love the idea of adding panner to it. My both children love greens in their diet, so I am sure this dish will be a hit with them. so delicious and flavourful. Spinach is a very good green veggie. I love to make a different kind of curries with spinach. Thanks for another idea. We love spinach at home, this stiew looks ideal with any meal. Love that name Archana. 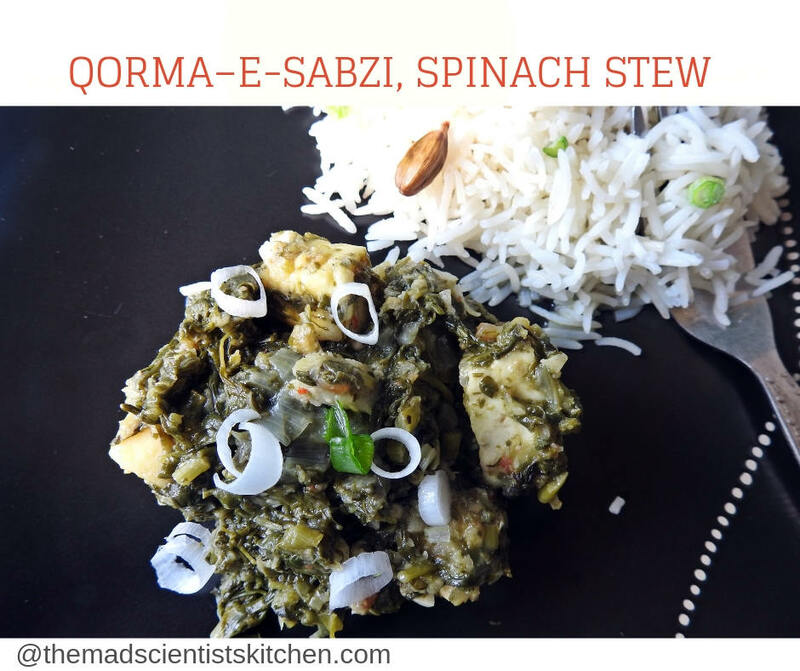 Qorma e sabzi, spinach stew sounds so delish. Love every thing about this recipe. Now spinach are in season will try this for sure. Will try the non vegetarian version too. Thanks for sharing!! Paneer and spinach is a super combo. Subzi sounds delicious. Super share arch! !